Netflix said today it will not be airing the latest episode of Tidying Up in which Peaches, GA, resident Paige Philips physically ejected tidying professional Marie Kondo from her three-bedroom home. Philips, who neighbors describe as an ‘all-star hoarder’, had understood the KonMari method as one that merely categorizes belongings, neglecting to appreciate the critical ‘throwing out crap’ aspect of the popular organizational strategy. As Kondo encouraged Philips to get rid of the old newspapers and unopened As-Seen-On-TV products that were making her home a hazard to life and limp, her hoarder instincts kicked in. The situation was not helped when the translator left out of fear of what the hoarder might do. It ended up just being a little shoving, but the 200 lbs weight differential between them caused Kondo to be thrown into the street. 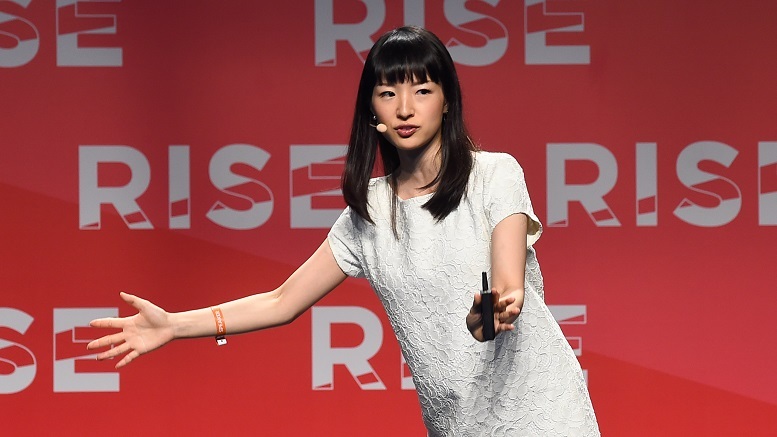 Though the episode will not be aired as part of Kondo’s current series on Netflix, the footage is being saved for an upcoming special “KonMari Disaster Stories”. Be the first to comment on "Hoarder Brings Herself Joy By Throwing Marie Kondo Out Of Home"